One of my favorite restaurants in Las Vegas has to be Emeril’s Delmonico Steak House at The Venetian Resort Hotel Casino. One of these days I plan to visit the original Delmonico’s which is in New Orleans, but for now Las Vegas will have to do. Although there are other great steak houses in Las Vegas, Delmonico’s is always a good choice to me because not only are their steaks really good, they also have non-steak dishes like duck and their desserts are legendary. 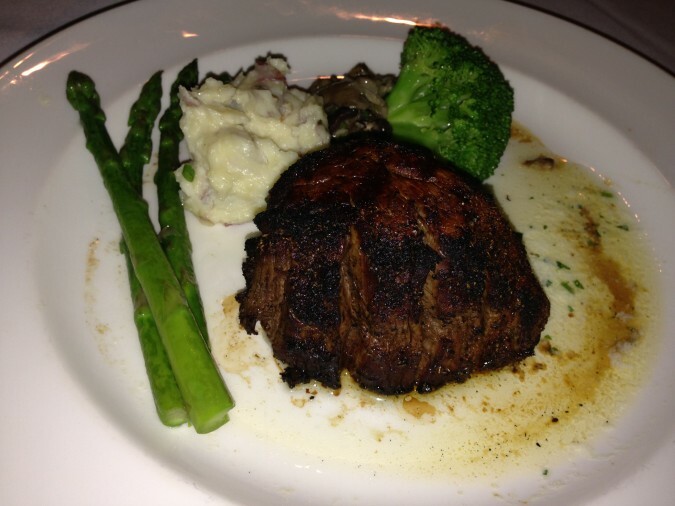 I went for the traditional filet mignon which is always good, but if you like the tenderness of a filet but want more flavor, ask for the filet medallions. It is off the menu, but they usually have it and I really like the way they prepare it. Instead of one steak you end up with three little medallions which are seasoned a lot more than the traditional filet mignon. Most of the time when I eat out at nice restaurants I tend to stick to the wines I know. 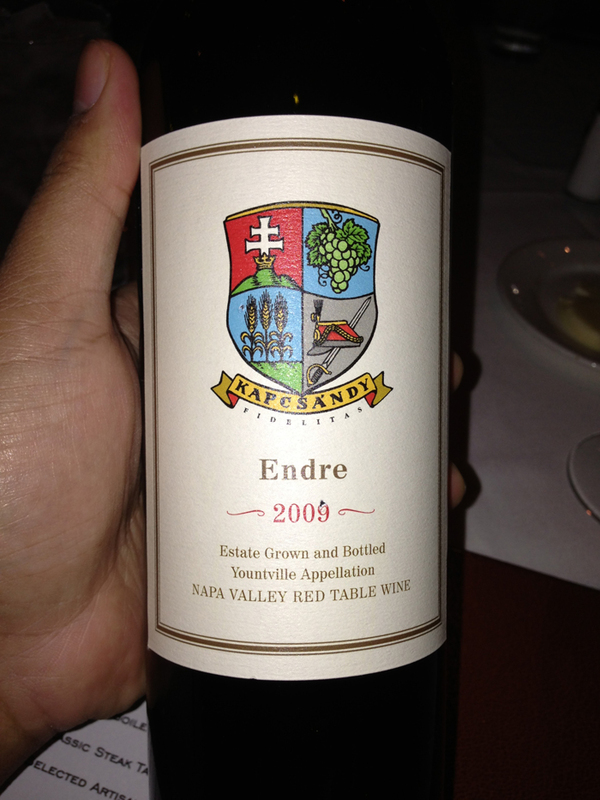 However, our wine sommelier highly recommended this Endre 2009 after we told him the flavor profile we enjoy and I have to say I was very impressed with it. Normally I stick with mellow cabs or zinfandels because I don’t really like my wine to have too much tannin, but the Endre 2009 was very well balanced for having 40% merlot in it. 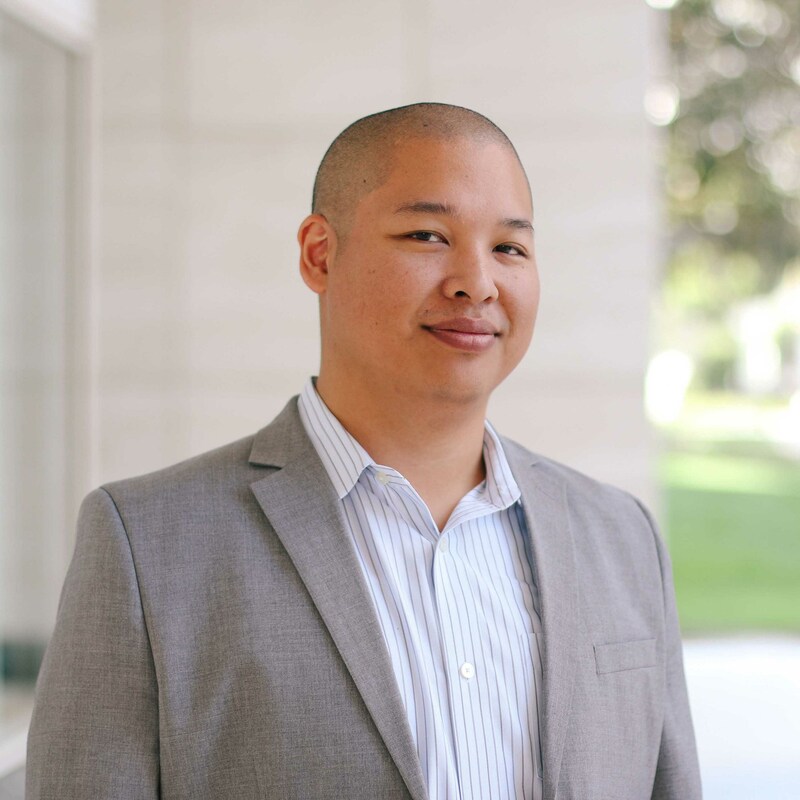 Bottom line, if you aren’t sure which wine you want to try when eating at Delmonico’s, you can trust their sommelier for a reliable recommendation. If you aren’t into steaks then you can always go for their duck. 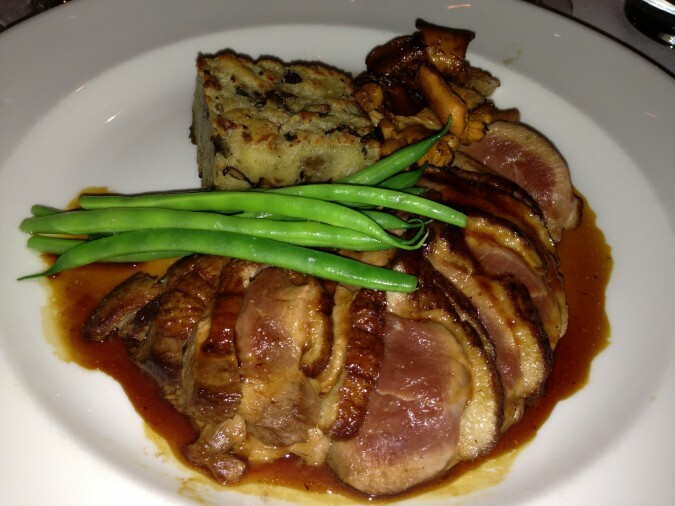 One piece of advice, if you like duck you have to try their Pan Seared Foie Gras (duck liver), it is a taste of heaven. 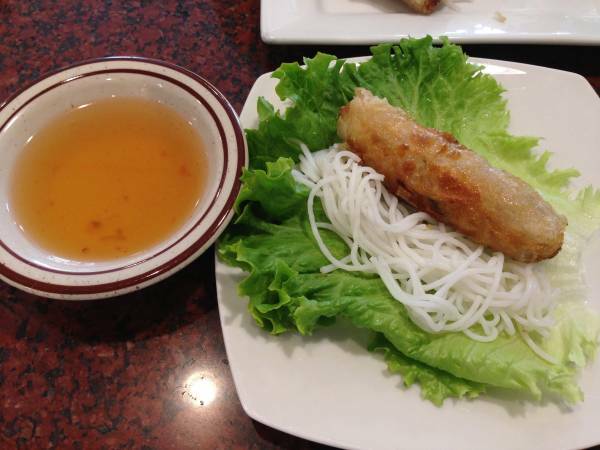 Although it is very rich, the portion is small so it makes for a really great appetizer that you can share. Now I normally do not like liver! However, I love the Foie Gras at Delmonico’s. Luckily I was eating with a group so we got to try many different desserts. 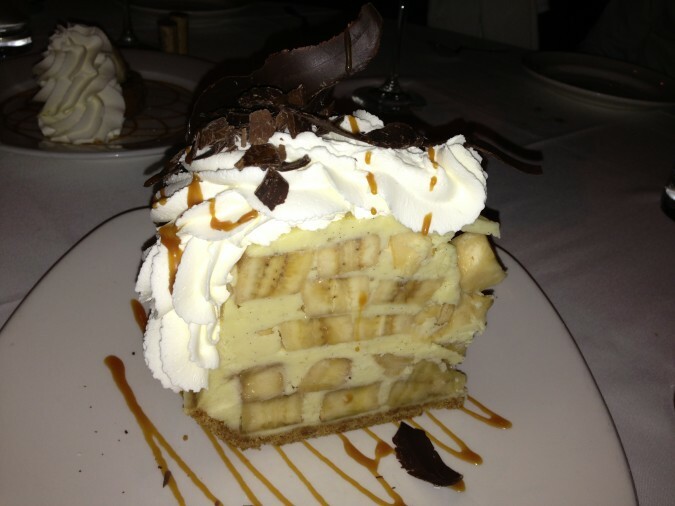 Above is Emeril’s Banana Cream Pie which is huge and very good. 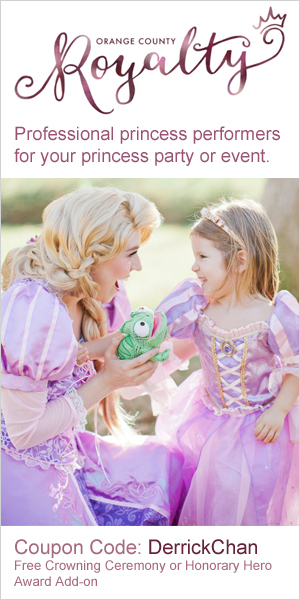 You can easily share this between 2 or more people. One tip on this dessert, it looks a lot sweeter than it is so if you are worried it will be too sweet, it won’t be as long as you don’t eat all the whipped cream in one bite. 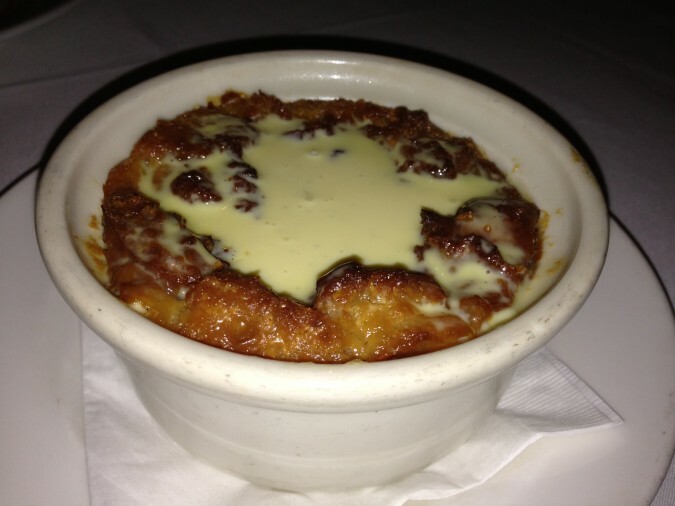 Next is my personal favorite, Emeril’s White Chocolate Macadamia Nut Bread Pudding. 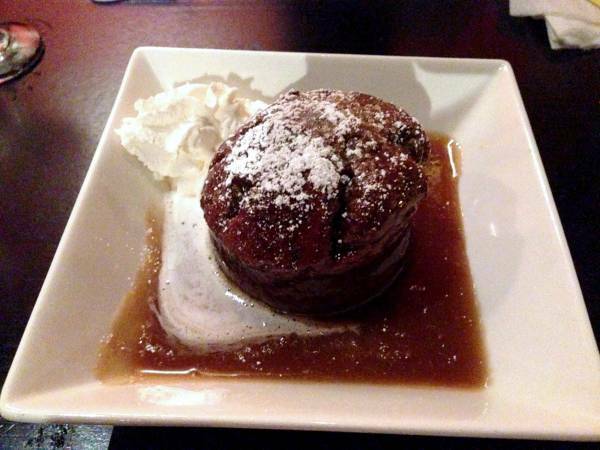 I am a huge sucker for bread puddings, and this one is probably my second favorite bread pudding (#1 goes to the Fig Toffee Pudding at The Playground). 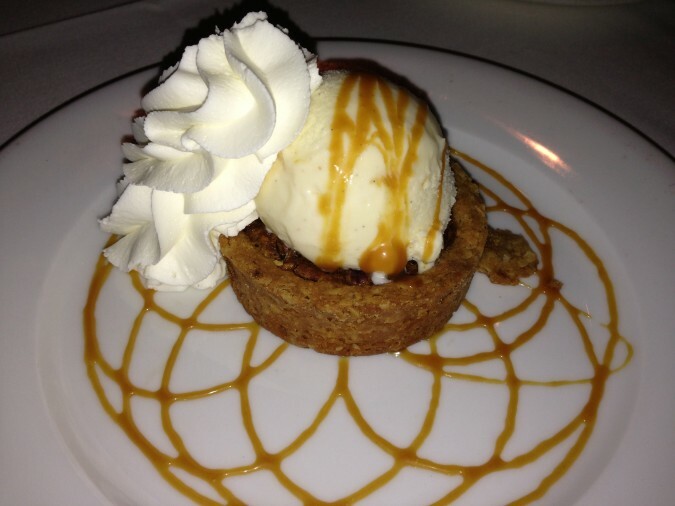 Our final dessert is Emeril’s most popular one which is his Pecan Pie. One thing I really like about this Pecan Pie is that it isn’t too sweet, it is just right. Most pecan pies tend to be overly sweet to the point where I can only enjoy one bite before I feel like I need to drink a glass of milk to wash it down. Emeril’s Pecan Pie is semi-sweet but it makes a perfect bite when eaten with the whipped cream, ice cream and caramel sauce all at the same time. Now you will definitely spend a decent amount at Delmonico’s but I think it is a great choice for dinning out in Las Vegas.